Today’s fan art is by ~Loki-Nightfire. 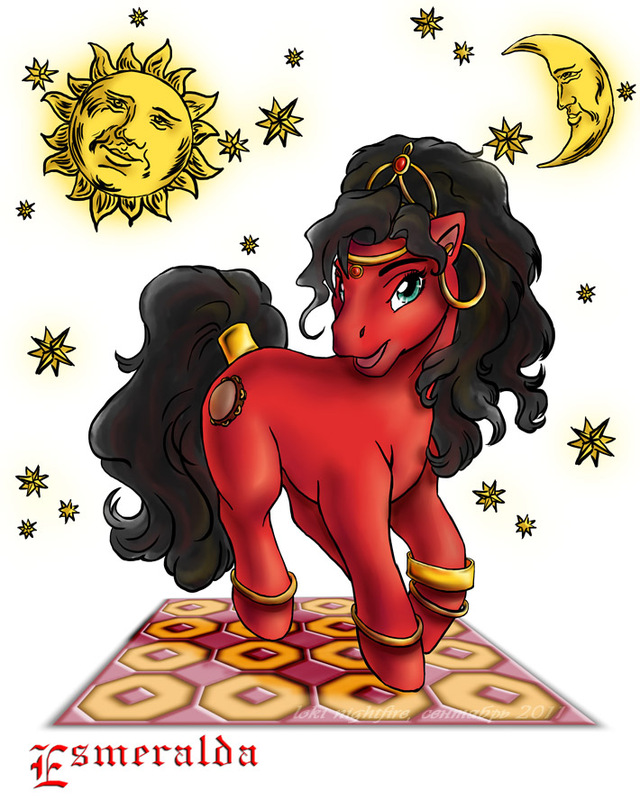 It’s a rendering of Esmeralda as a My Little Pony. I like that the red dress is used as a reference it’s so pretty.